What is the Generator at one? Fifty-eight workshops attended by 1120 young entrepreneurs; 43 competitions with over 800 participants; 55 presentations to over 8800 students and 3 cohorts of emerging entrepreneurs with more than 105 participants. Some of the results of our first three years that have helped make 2016 an exciting year for Brock University’s business incubator, BioLinc. 2016 was a great year for our resident companies at BioLinc. ColdBlock Technologies, a resident company that joined BioLinc in 2015, successfully launched their 6- and 18-channel workstations and were a semifinalist in the 43North Pitch Competition. ColdBlock Technologies and their scientific advisor at Brock University, Dr. Ian Brindle published 5 publications and they have received funding from OCE, MaRS, IRAP and NSERC. BioLinc also had 3 students participate in the Founders Institute and one student was part of the Next36 2016 cohort. CEO of CHAR Technologies, Andrew White was also named Young Entrepreneur of the Year at the Ontario Business Achievement Awards. In March 2016, BioLinc completed the second cohort of the Kick-Starting Entrepreneurship program with Entrepreneurship Week. 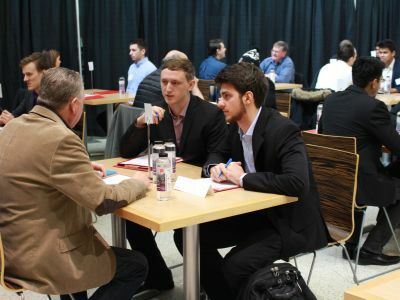 A collaboration between BioLinc, ncTakeOff, Brock University Students’ Union and Niagara College Student Administrative Council, Entrepreneurship Week was a week-long burst of youth entrepreneurship activities across the Niagara region. 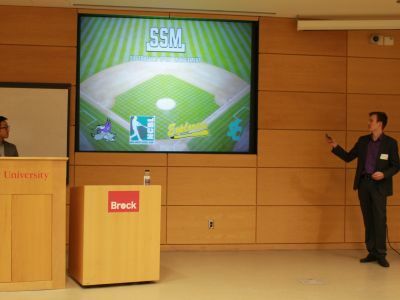 The week also included Brock University’s two pitch competitions, Blueprint and Monster Pitch, where Brock’s top entrepreneurs were given the opportunity to pitch their business ventures. 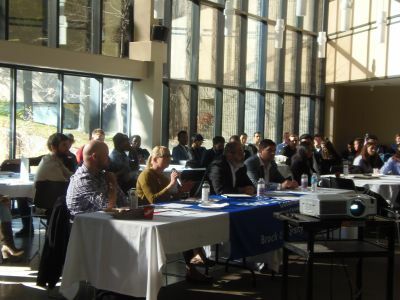 In September 2016, BioLinc launched the third cohort of the Kick-Starting Entrepreneurship program, supporting over 35 young entrepreneurs to advance their early-stage business ventures. As we look forward to the next year, we are excited with the recent announcement at Brock University for Brock LINC project which will see a new 30,000 square foot Innovation Atrium at Brock University. This expansion at Brock University will increase the innovation and commercialization space and the Brock LINC facility will support entrepreneurs looking to connect, collaborate and commercialize. This $19-million Brock LINC project is planned for completion in early 2018. OUR THANKS TO NICK A. DIPIETRO FOR HIS GENEROUS SUPPORT. ColdBlock Technologies offers a novel and innovative technology for sample digestion – ColdBlock Digestion. ColdBlock Digestion dissolves solid matter into solution for multi-element analysis and is applicable to numerous industries including mining, environmental, agriculture and food. Currently ColdBlock Technologies is working with customers in the mining and environmental space, providing a safer, faster, effective and accurate means for sample digestion. How has Innovate Niagara / BioLinc helped you? 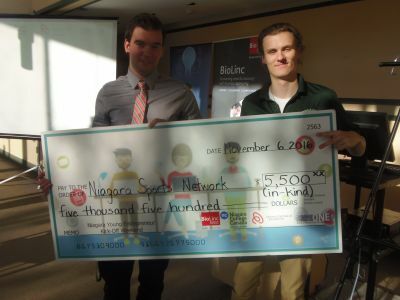 Innovate Niagara and BioLinc have been instrumental to our success. 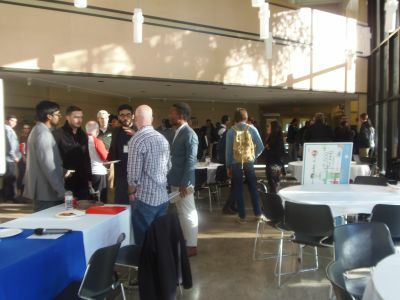 Biolinc has connected us with valuable resources and opportunities (ie, 43North Competition), facilitated networking and provided us with space to call home. Facilities are available to us to conduct our business. The office space and boardroom have allowed us to have potential clients and collaborators meet with us in ‘our space’ and advance our business. The wet lab space houses our Demonstration Lab, where we work with clients to demonstrate our technology with their real world samples. BioLinc staff have been very generous with their time, advice, and support in sharing our story, working to ensure our continued success. Complete Grab was founded in 2016 and aims to ease the use of consumer products through ergonomic design. 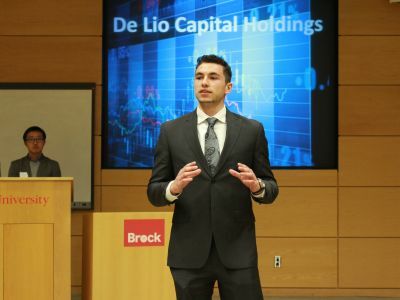 As a recipient of the Deborah E. Rosati Entrepreneurship Scholarship, I was fortunate to spend a summer term working on my business full time at BioLinc, the business incubator at Brock University. This work term was instrumental to the early success of my business. BioLinc provided me with mentorship, guidance, a collaborative work space and design software which enabled me to develop my idea into a reality. Through BioLinc I made valuable connections with numerous industry professionals who offeredinsight on the product manufacturing and retail buying process. 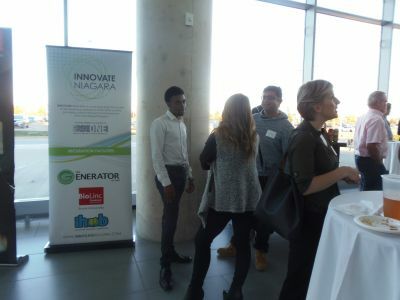 Innovate Niagara connected me with a business analyst and a lawyer who were integral in the development of a comprehensive business plan and provided me with the necessary information and guidance to begin the patent process. Curexe helps businesses send money to their suppliers, employees or partners in other countries, in different currencies, from any mobile device. Launched our product with 33 business customers sending money around the world from any mobile device. Banked $75,000 of our $1 million SEED round with a group of investors verbally stating they want to close the entire $1 million by end of year. Founder was the first Brock student to go through the Next 36 (now called NextCanada) and Curexe has secured office space at the DMZ, known as the #1 incubator in North America. BioLinc provided the office space for the founder to work until 3am every night in a motivating environment. They consistently were there to provide suggestions and make connections and gave an all around feeling that it is possible to build something from nothing. I owe the success of Curexe to BioLinc believing in us in the early days when we were just an idea. fragmented and we hope to centralize and streamline the delivery industry to make it more efficient and effective for both the customers and restaurants. Our milestones to date include having four permanent executives, four contract drivers, and one web designer contractor working for us. We have completed over 5,000 deliveries and over $150,000 in goods delivered. We have over 500 customer accounts on our website, and 6 areas served with 75 restaurants on our website. We have surpassed 200 deliveries a week and are formulating our plan to expand to a new city next year. Innovate Niagara and BioLinc have helped us succeed in many ways. 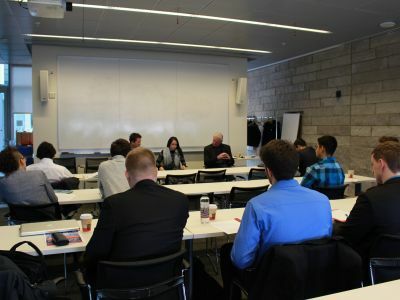 Innovate Niagara helped us by providing the Mars series workshops for us to learn from. They also provided mentorship and guidance in preparing for and pitching at Ignite Niagara. 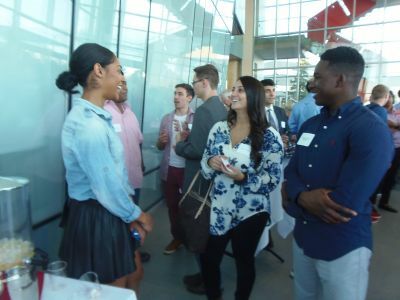 BioLinc provided us with many learning sessions, pitch events, and networking opportunities in their Kick-Starting Entrepreneurship cohort program. Both Innovate Niagara and BioLinc provided support and encouragement as we started and grew our business by giving us constant advice and mentorship. 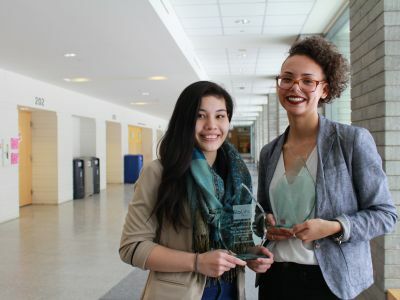 The Kick-Starting Entrepreneurship program targets Niagara youth (ages 18-29) and encourages them to explore their innovative ideas and advance their early-stage entrepreneurial aspirations. 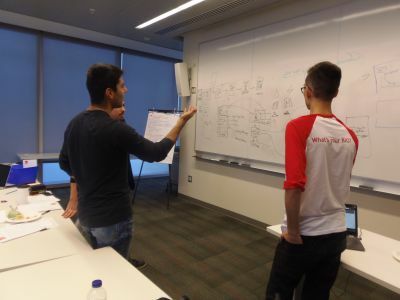 The program provides up to 35 youth with two intensive training weekends, monthly seminars and events, plus a mentor and advisory services from BioLinc and Innovate Niagara, Niagara's Regional Innovation Centre. Wajeeh's business idea is a ridesharing platform called Beep-Beep that focuses on cross-city travel across Canada. Watch Wajeeh explain the concept behind Beep-Beep. Robert is a board member of a group that is looking to bring a North Country Professional Baseball League expansion franchise to St. Catharines. Cai has an idea to develop a platform that facilitates buying and selling used books. Nirav is researching alternative methods to deliver insulin. Marcello's business idea is to continue as a day trader. Jessica would like to start a business called English Accent Coach which is a web based training program that improves users English pronunciation. Madi is pursuing an idea for a service called Campus Brainiac which helps connect students with tutors to help them suceed. Watch Madi tell the story of Campus Brainiac. Michael and his team have an idea of a business to help delivery groceries to students on residence. 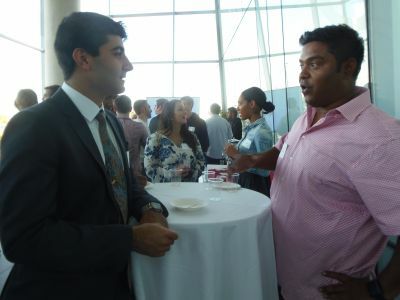 Asad is working on a business that brings the best fitness supplementations to his customers. Jeff is working on a business called Lost Graduate, a digital magazine and network for all the Lost Graduates out there. Cameron is developing an app called Nasma, that will allow people looking to connect with a certified professional in their field of fitness to do workouts in the comfort of their own home or when they are short for time. David's company “Cuff” or "Cuff Clothing" is a unique apparel startup company currently specializing in Fall/Winter pants for men, designed to add warmth, comfort and colour to the wearer's wardrobe throughout the colder seasons. Adrienne is working on GetAMPED which is a team of passionate communicators, cinematographers and storytellers helping local small businesses amplify their message. Chip plans on creating a consulting business to enhance professional development. Jade would like to start a not-for-profit business where youth are mentored by youth and health care professionals alike about the issue of mental health. Christopher is working on a business called Supercrush Wine Company, which is an innovative baverage and packaging company focused on canned wine. Matthew is working on the Canadian Sport Business Network which is a non-profit organization that exists to bridge the gap between sport and business. Bailey is working on a company called DroneHub Media. It is a business that will enhance the visual aesthetics of current video production by servicing clients using top quality drones and cameras. Alex has an idea for an app called ShoutOut. Dalton is planning a crowdfunding campaign to kick-start his digital archival business which offers imaging solutions to museums and university libraries. Camilo has an idea to help eliminate the need for meter readings to be taken on a monthly basis. Brian and another Brock student, Scott Owen, will be starting a business that provides IT services to small and medium enterprises that don't require a full-time technical support staff on-site. Kevin is working on Abrax Rehab & Training which is a personal training service geared towards athletes that focuses on physical rehabilitation and the prevention of sport injuries. Aniqah is developing a structure for an annual social innovation competition that focuses on creating real solutions to the 8 Millennium Development Goals by the United Nations.